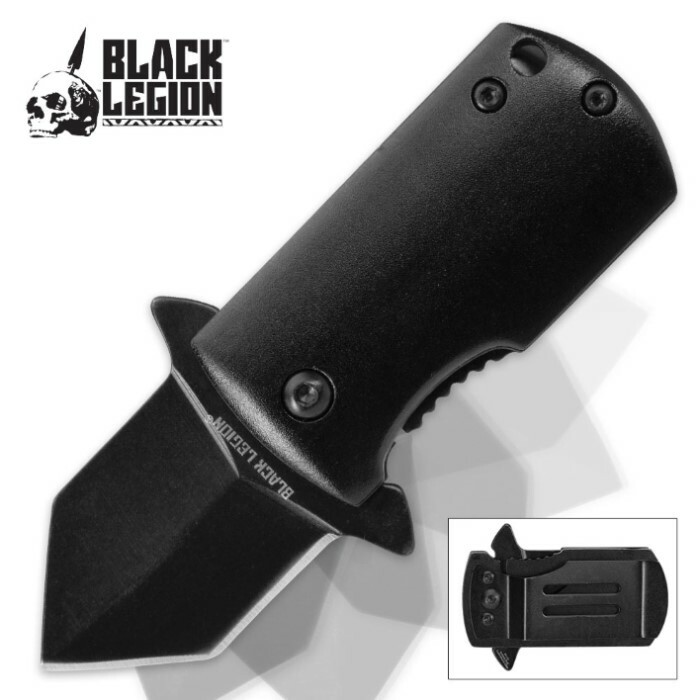 Black Legion Covert Assisted Opening Pocket Knife | BUDK.com - Knives & Swords At The Lowest Prices! 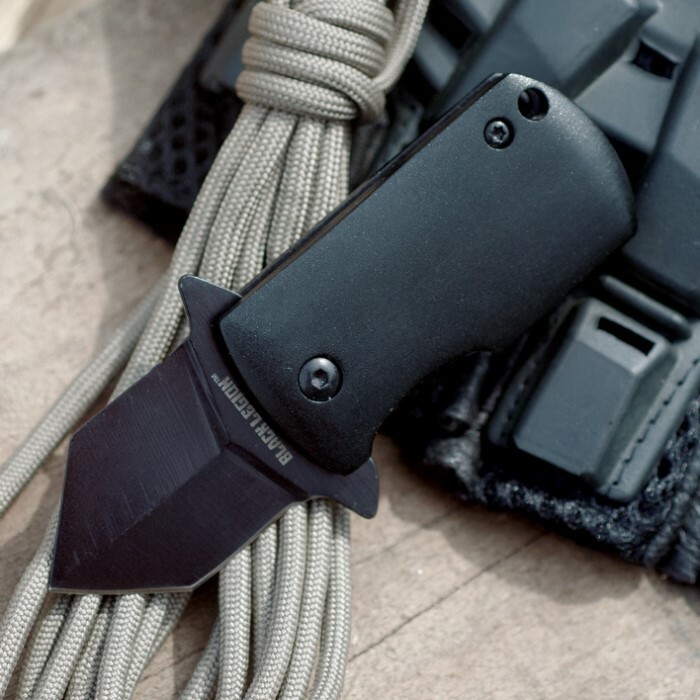 At less than 2 ½” closed, less is more with this mean little Black Legion assisted opening pocket knife. It may be small, but that just means it’s that much easier to conceal! Order a couple of these for Christmas and they were a huge hit! Everyone that received these love them and talk about their durability and compactness. Bought one thinking yah right BUT it awesome comes down to it it is just as good as a regular knife.I like so much I am wanting to get one for my family to carry with them.the blade comes out quickly and when it locks very sturdy very impressed. I usually wear a sheath or concealed blade everywhere, but this little guy is always clipped to my pocket in full view. It's so small, it doesn't go on the radar as a weapon. Looks more like a pack of breath-mints. No problems with loose screws like some reviews, but that's what screwdrivers are for..."doh". My granddaughters thought it was cute when I used it to open things at Christmas. Fact is, I could use this very efficiently for a self-defense scenario. Can hide in the hand like no regular folder. Can we get a Bogo sometime? I purchased this knife about 3 days ago immediately noticed the blade does not lock into place every time. I have to hold it just right and still its hit or miss cool little knife if it locked. This is a great knife. 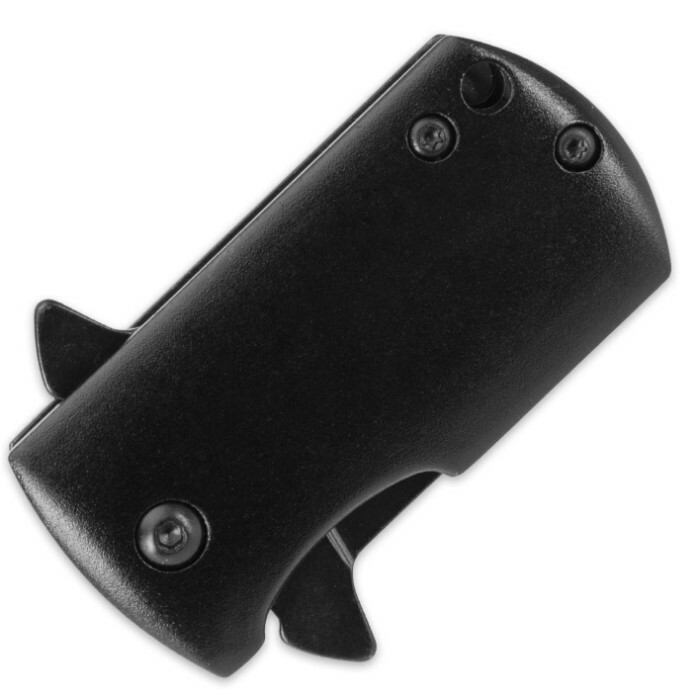 It's extremely handy to have holstered on your belt. Great for opening boxes, or camping, etc. The best thing about this knife is the size on your hip. It doesn't rub or push against the skin with any movement. Minimal force is required for the assisted opening. If I could change anything it would be the blade. The addition of a few serrations near the base would make it ideal for cutting rope, etc. As well, only one side of the blade has an edge, but this is needed to close the knife once opened. I'm so glad I purchased two of these knives. The first knife didnt lock up well, so I pulled out my hex key set and used the 1/16 hex key to tighten the screws on each side a bit (just a quarter turn on each screw) and the lockup was solid. Note: if you tighten the screws to tight the knife won't open all the way. The second knife had zero issues with locking up. Now on to why I gave this product 4 out if 5 stars. Well both knives arrived pretty dull. I quickly sharpened them but I still need to work on them some more to get them paper cutting sharp. I plan on carrying one of these whenever, wherever I can as a backup to my main folder. This is a great little folder spring blade! Sharp right out of he box. I ordered one for my self, and my wife noticed it and loved it so much I gave it to her and bought myself another. Very sturdy and convenient. Wonderful product. I was so excited to use this and keep it. I spent like 4 to 5 hours of the day opening and closing this while working. I DID NOT TEST IT OR USE IT! a screw fell out early in the first day but everything worked fine still so i didn't care. Then late 2 screws fel out and now the blade is wobbly and it wont lock. I cannot even apptempt to fix it. This nice is very cheap i would have been angry but for the price i can always buy another one! This is a great little knife, slips easily into your pocket, your ashtray in the truck, or virtually any place you might need a small knife. The spring action is the quickest of any of my spring assisted knives of ANY size. The blade and the point were factory sharp, and easily sliced through the hard plastic of my Duracell USB/Car Lighter socket adapter. I'm comfortable carrying this little gem anywhere. Good back-up for that unexpected situation when you might need a small knife. MUCH more than a mere novelty.